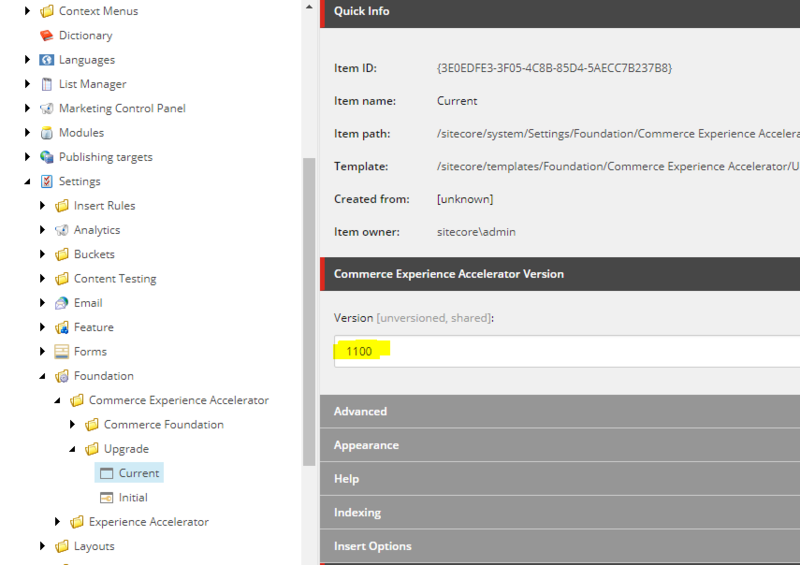 I have described and done installation of Initial Release of Sitecore Experience Commerce (SXC) 9.0 in my previous blog post. 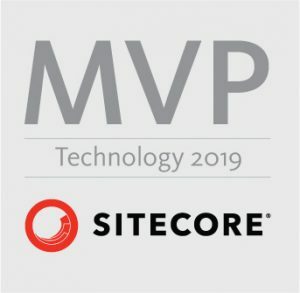 Some weeks have passed since and Sitecore released Update 1 with couple of fixed and enhancements. You can see most visible corrective content included in this update in release notes. I was following official Sitecore upgrade instructions. Link can be found at the end of this article. There were couple of things which description was not so wide. This article will help you out to fill out some gaps. Before starting with any other tasks, you need to download installation package for SXC 9 Update 1. There is no dedicated upgrade package! Installation package for SXC 9 Update 1 can be found here. In IIS, stop all sites. 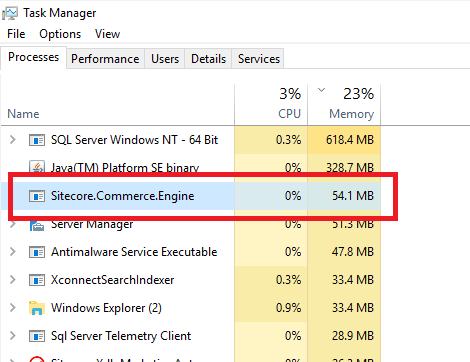 You also need to stop “Sitecore.Commerce.Engine” process through Task Manager in order to accomplish next step. This is not mentioned in Upgrade instructions! 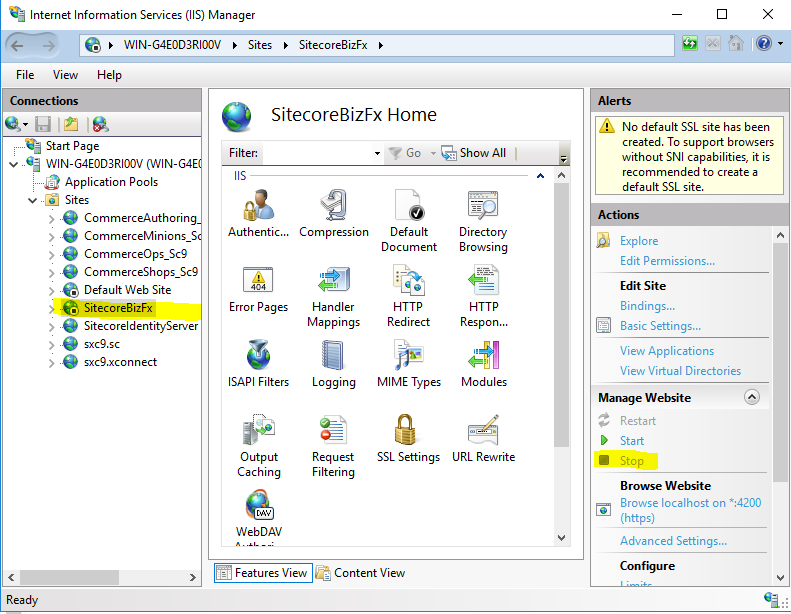 If you don’t do this, you won’t be able to replace files in CommerceMinions_Sc9 site in next step! 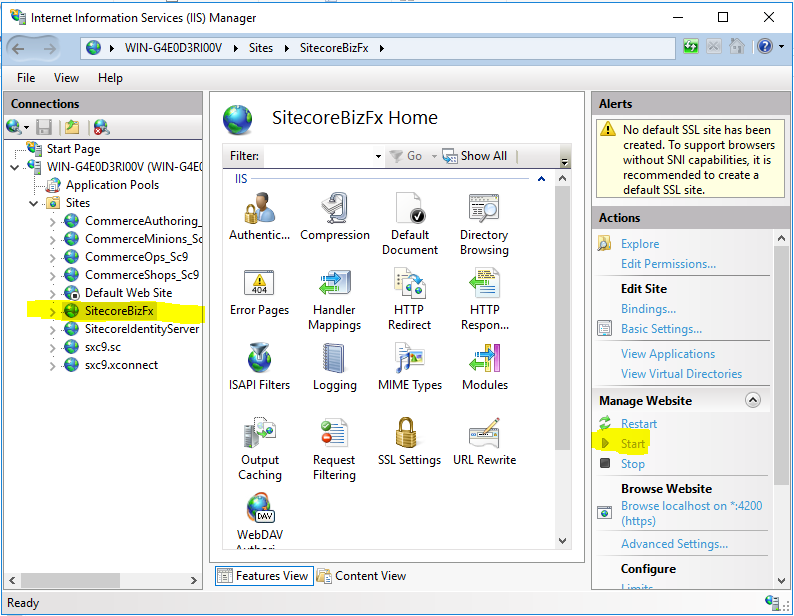 Perform this using the Sitecore.Commerce.Engine.2.1.55.zip package. 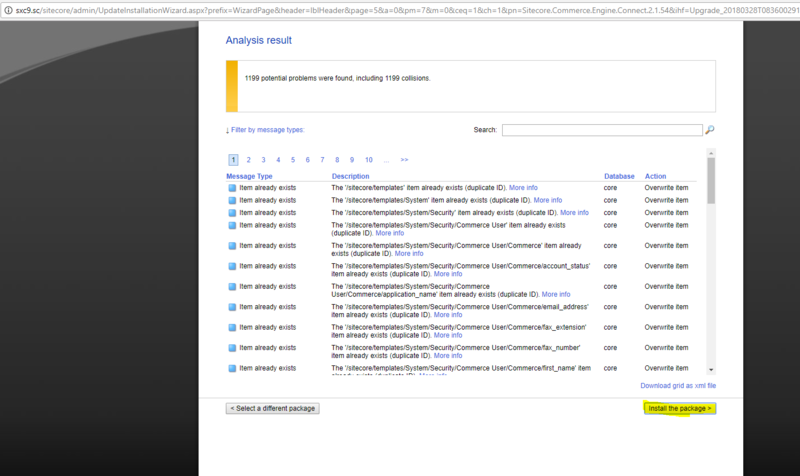 Copy into clipboard whole adjusted Sitecore.Commerce.Engine.2.. folder. 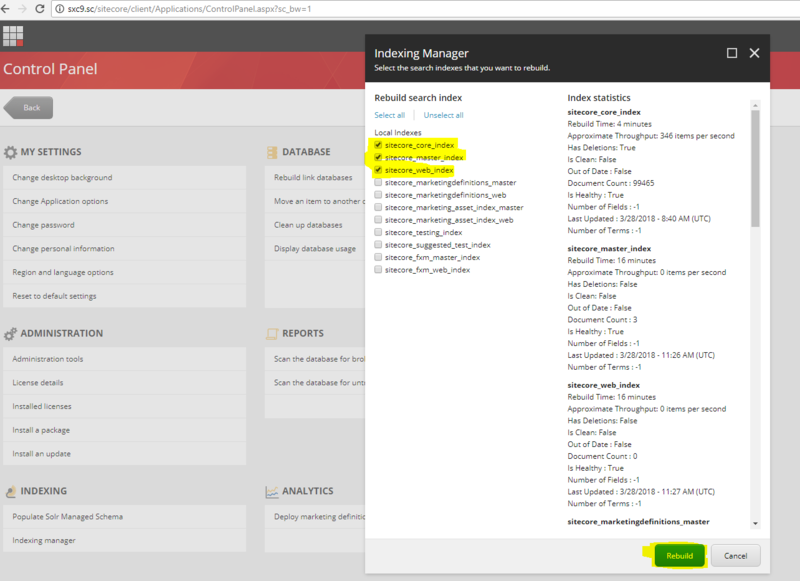 First you need to copy and paste the “PlugIn.CatalogIndexing.PolicySet-1.0.0.json” – new policy set. 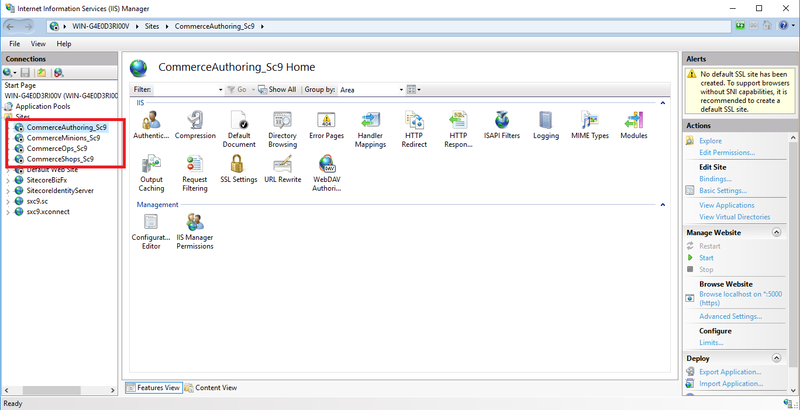 As an alternative, copy the Adventureworks/Habitat Authoring/Shops json files from the 9.0 Update-1server to the 9.0 Initial server, then replace the old servername with the new servername. 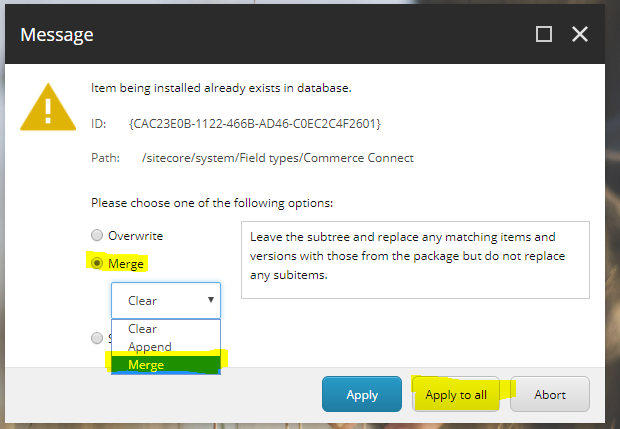 You can also use WinMerge to compare old and new files and just copy what is necessary. If you haven’t imported any SXC specific collections into Postman until now, then read my blog posts about adding Postman collections specific for SXC 9. 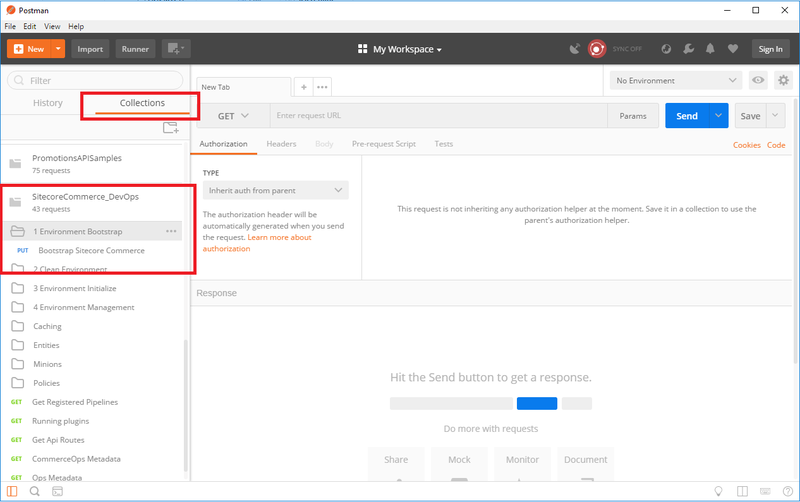 Before you continue, setup authorizing requests in Postman. 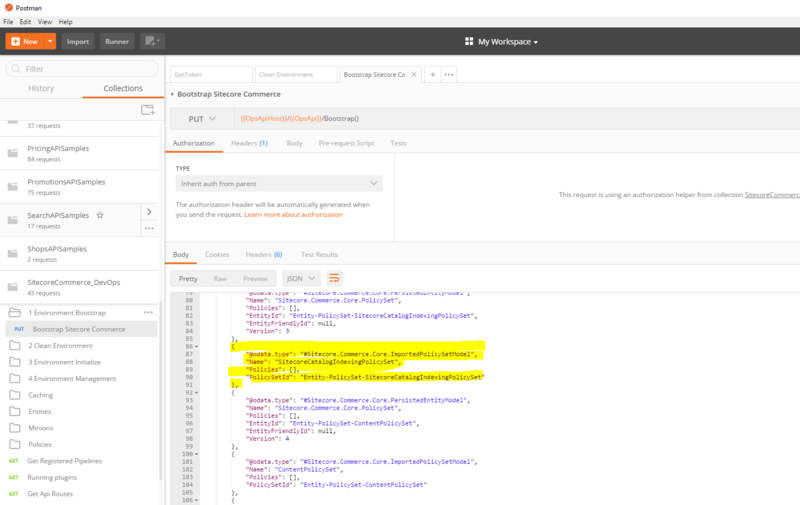 Follow my blog post about authorizing requests in Postman for Sitecore Experience Commerce 9 and you are good to go. 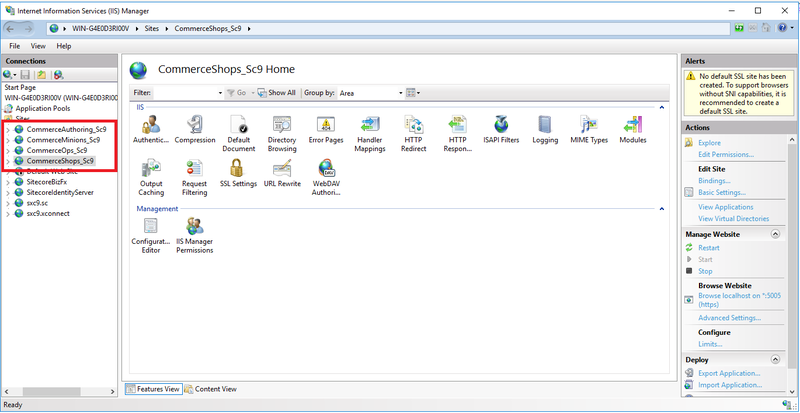 Now continue in “Collections” pane and open “SitecoreCommerce_DevOps” collection. 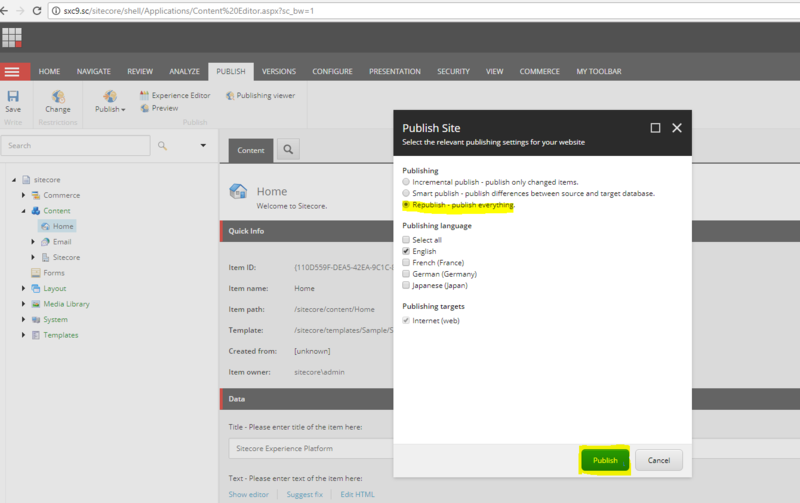 Expand “1 Environment Bootstrap” section and click “Bootstrap Sitecore Commerce”. As you have set authorization token before, you can click on blue “Send” button. 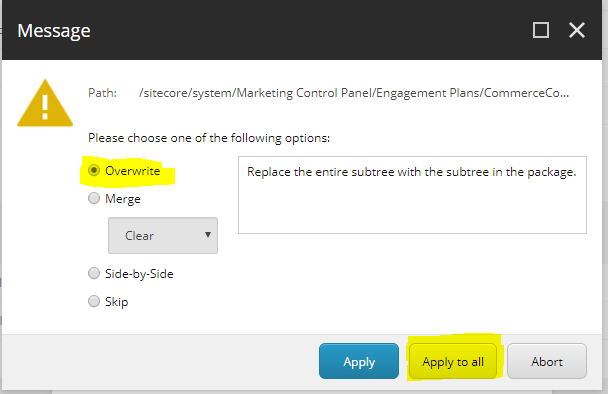 and at the next step choose ‘Merge’ radio button, and ‘Merge’ in the dropdown for all sitecore items. Best is to move them somewhere else (to some temp folder) if you haven’t done backup as I suggested in the beginning of this article! 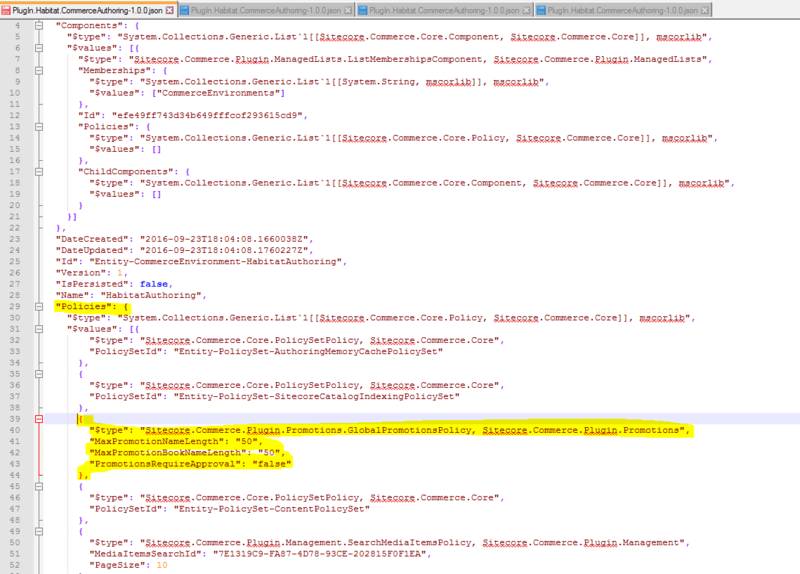 C:\inetpub\wwwroot\<siteName>\App_Config\Include\Y.Commerce.Engine with any configuration updates to ensure the correct URL and thumbprints are being used for connectivity from Sitecore to the Engine. I have used my backup to compare thumbprints with WinMerge. You can use temp folder where you have moved config files in step 1h). If using SOLR, clean master and web SOLR cores by navigating to the below URLs in the browser. Replace <sitename> with your site name. 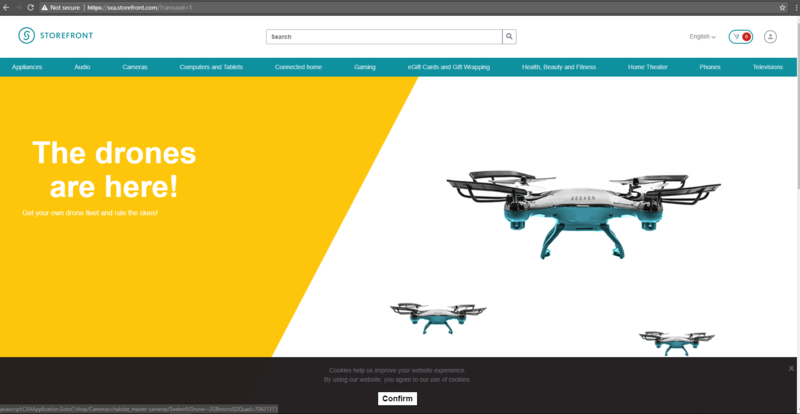 Login to Sitecore and start Content Editor, then click on the Commerce tab. 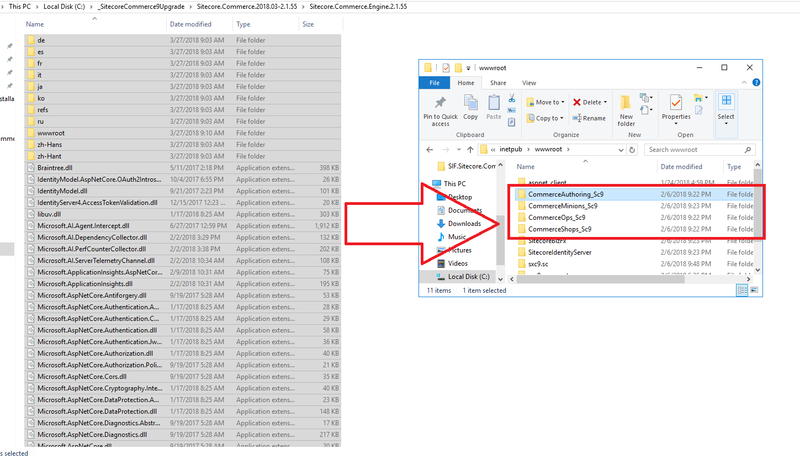 Basicaly remove “.disabled” from file name for above mentioned files. 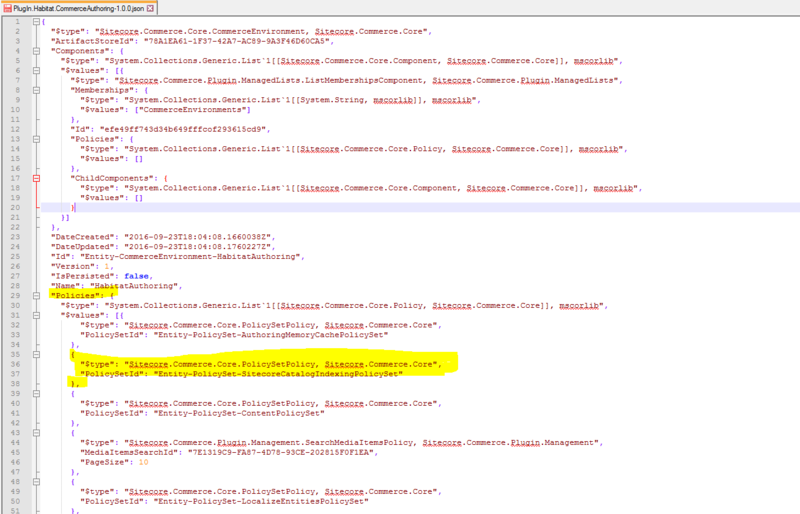 Go to “C:\inetpub\wwwroot\SitecoreBizFx” and document any changes to \assets\config.json. 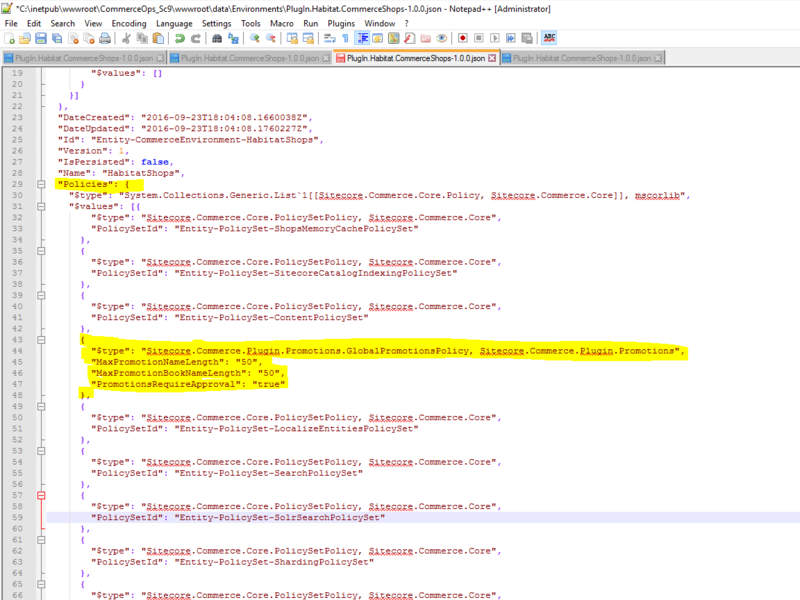 I have used WinMerge and compared config.json.backup with newly copied config.json under /assets/ folder. No changes actually were needed. 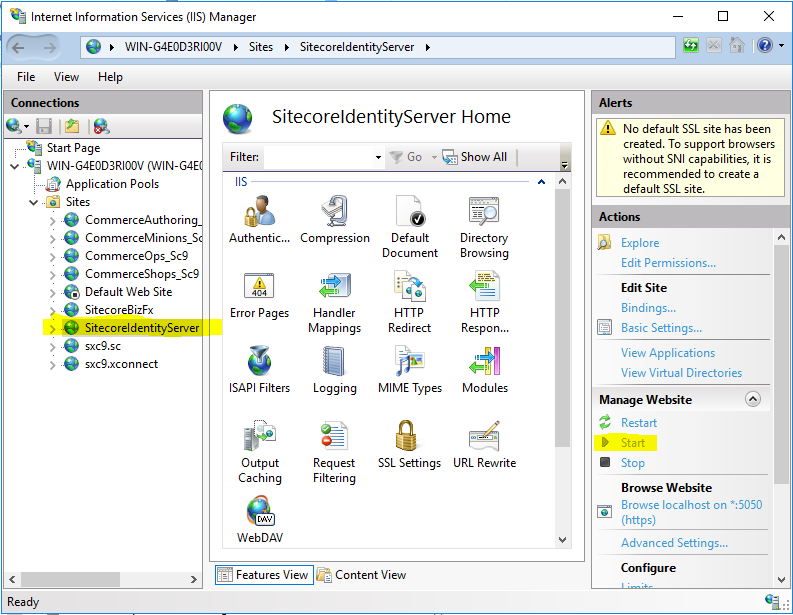 Stop the Identity Server site. Go to the Identity Server under “C:\inetpub\wwwroot\<idsitename>” and document any changes to \wwwroot\appsettings.json. 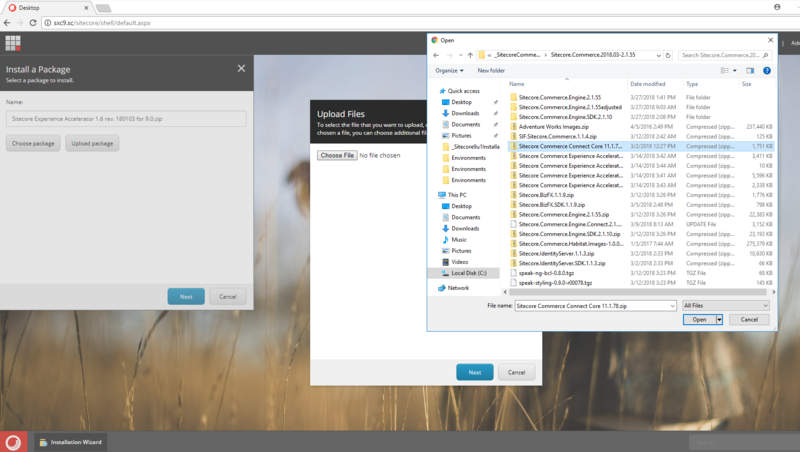 I have used WinMerge and compared appsettings.json.backup with newly copied appsettings.json under /wwwroot/ folder. 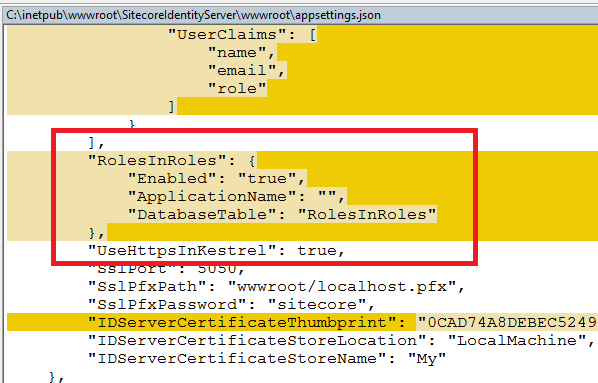 Include additional configuration to “C:\inetpub\wwwroot\<idsitename>\wwwroot\appsettings.json” under “AppSettings”. Restart the Identity Server site. 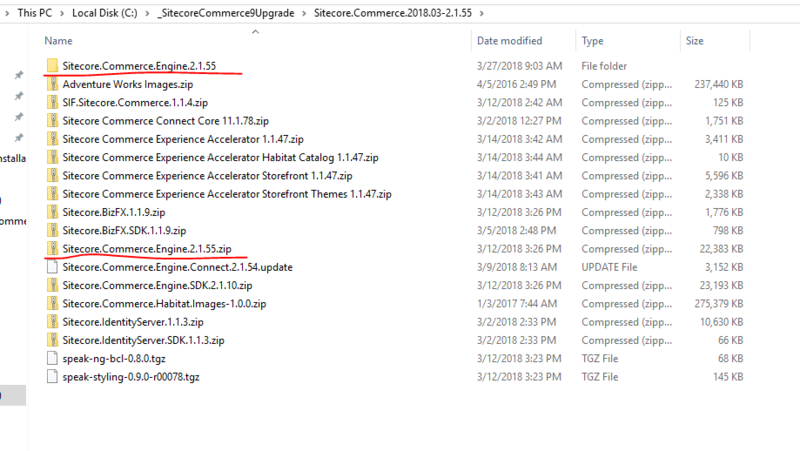 Note: When the 9.0 Update-1 Storefront is deployed on the upgraded solution (steps above), the Storefront does not change or upgrade existing sites. 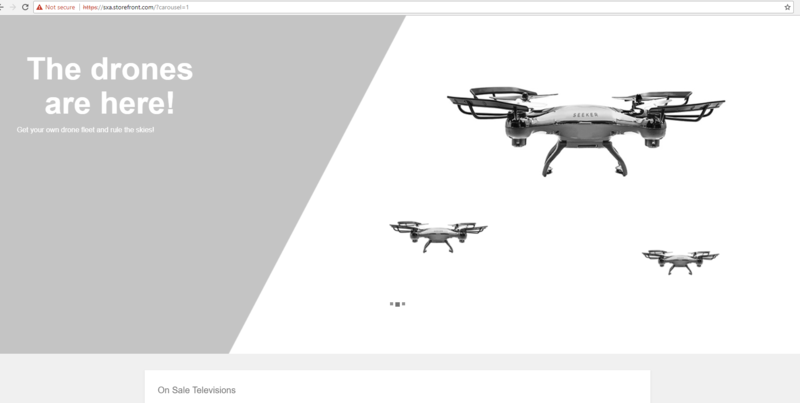 Only new sites built with the 9.0 Update-1 Storefront will have access to the new content. select ‘Choose package’, and select a package to install select Open, select ‘Next’, select ‘Install’. Login to Sitecore again. Republish to Web. Rebuild Core, Master and Web indexes. See step 1p) and follow it. 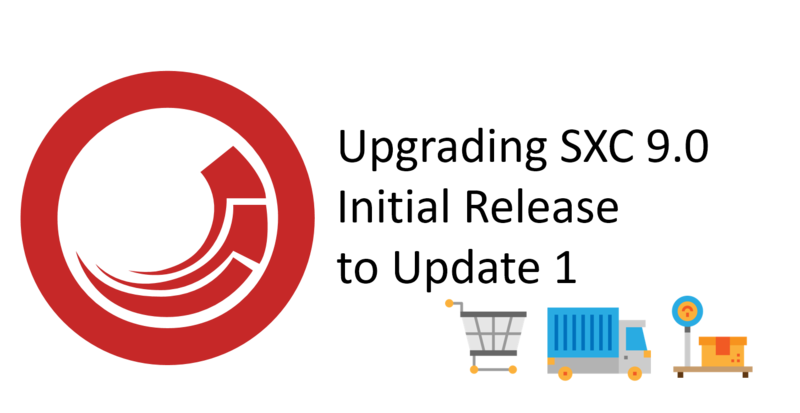 Login to Sitecore and start Content Editor, then go to /sitecore/system/Settings/Foundation/Commerce Experience Accelerator/Upgrade/Current.